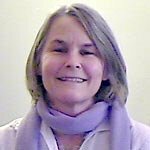 Barbara Larson has been a CNVC Certified Trainer for over 17 years. She's worked with Marshall at many CNVC International Intensive Trainings (IIT), and is currently one of the primary IIT trainers. Her NVC specialty is working with individuals in transforming old pain, and she and her partner host NVC Family Camp at their farm on Vashon Island, WA.